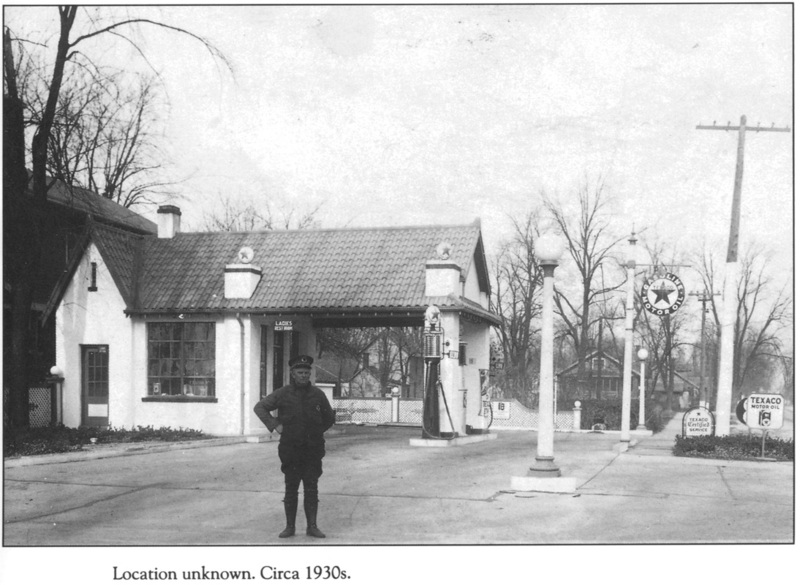 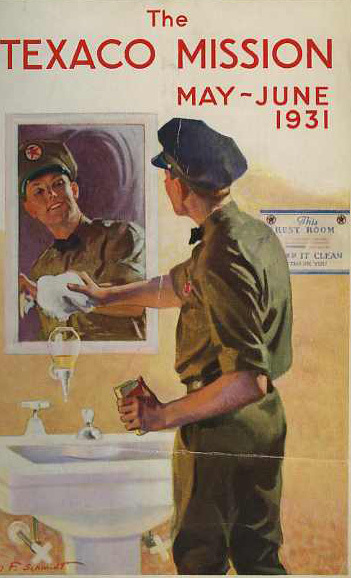 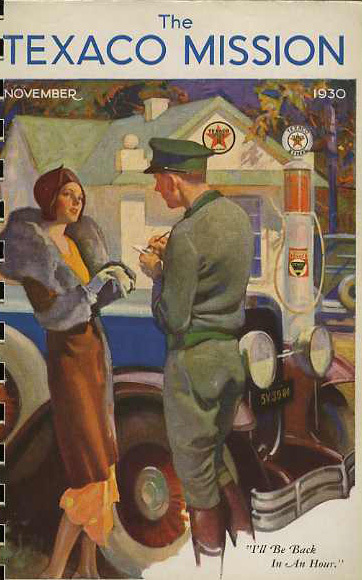 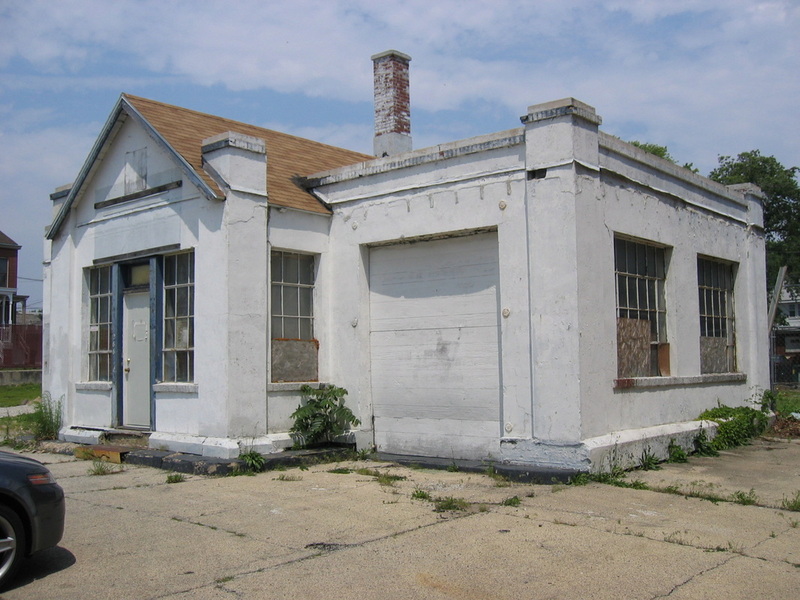 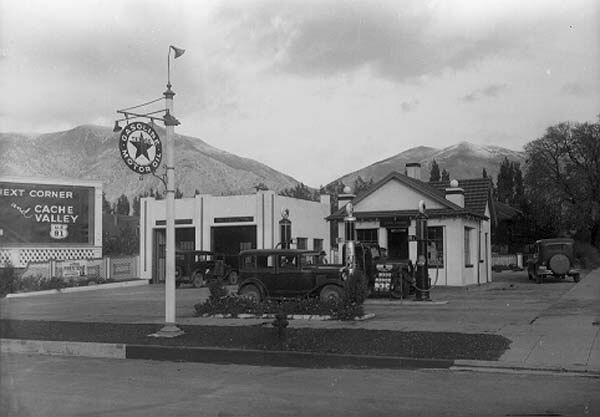 Research to plan renovations uncovered several Texaco stations of the 1930's period. 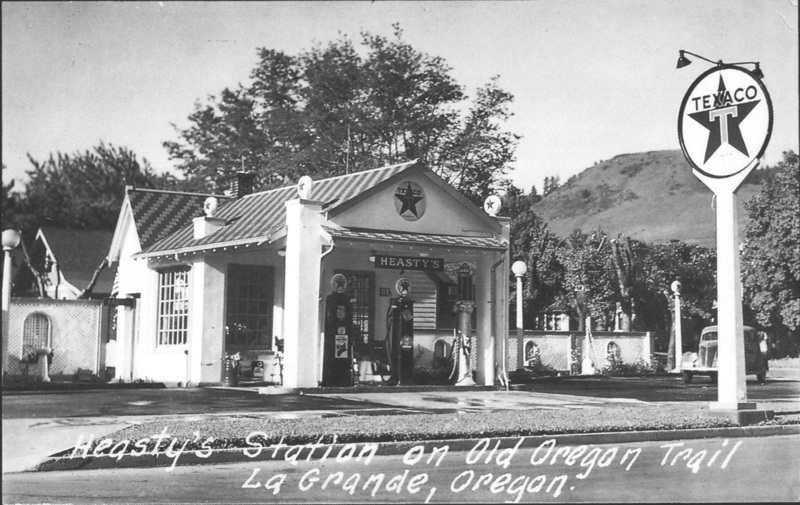 While there was not one single style or design, many stations had similar features, including tile roofs, hip awnings, light poles, sign poles, windows, pillar globes, brick accents, Texaco star in roof peak, etc. 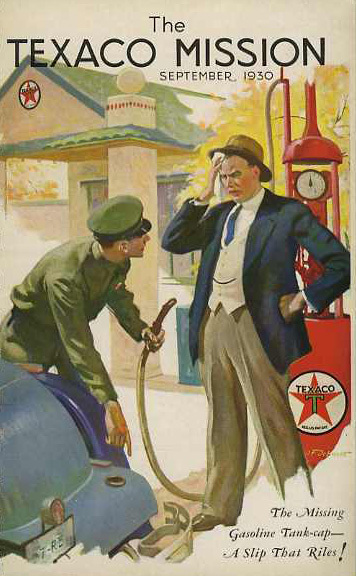 Several of these photos are from the Texaco archives. 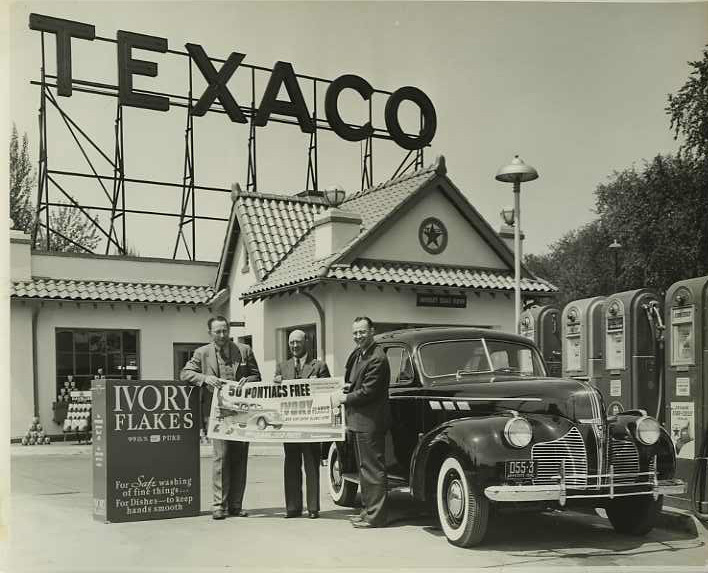 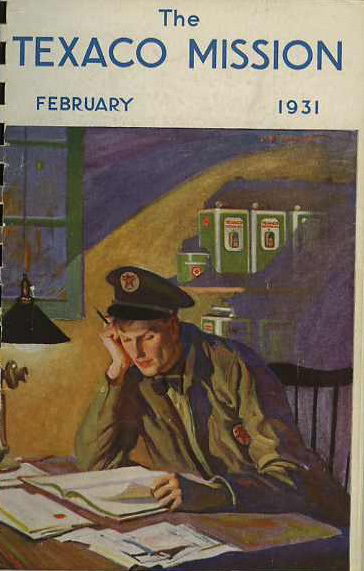 Representatives of the Chevron corporation, which includes the Texaco brand, were kind enough to dig into their archives and provide materials to aid my research.